Moon River Senior Care and Transportation, located in Ashburn, VA is committed to helping older adults experience a smooth transition home after a hospitalization. 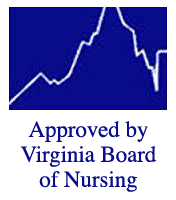 Conveniently located near Inova Loudoun Hospital, we have companions, aides and nurses who are able to assist with transportation, personal care and skilled care needs. The Hospital to Home program focuses on comfort and safety for patients returning home after a hospitalization. We can meet in your hospital room, and help you pack up your belongings or meet you in front of the hospital entrance. Transportation from Hospital to Home: The team of friendly, well-trained drivers includes both companions and aides. The drivers are our employees and must meet high standards. They provide “door-through-door” transportation, ensuring the patient has safely entered the home. Patients can travel by car or request our ADA compliant van with wheelchair accessiblity. Upon request, we can provide the wheelchair. This is private transportation, and we only transport one patient at time. A family member or friend can accompany the patient at no additional charge. For those needing care at home, we invite you to become a home health Client and enjoy the best possible recovery. Daily care: Medication reminders, bathing assistance, dressing, feeding, transfers, restroom assistance, medication reminders and light housekeeping. Prescription Pick-up: A nurse can review the discharge plan and make sure that you have the correct medication that has been precribed. Medication Management: After a hospitalization, a new medication may replace what was taken previously. Our nurse can set-up your pill box to be in compliance with the discharge plan. Grocery Shopping: When you have been away from home, there is often a need for a trip to the grocery store. We can transport a client or go to the store for him or her. Refrigerator Check-up: Are there items in the refrigerated that have spoiled? A caregiver from Moon River can dispose of spoiled items, tidy up the kitchen and take out the trash. Meal Preparation: Eating healthy and staying hydrated is an important part of healing. We can help with basic meal preparation and encourage fluid intake. Household tasks: A companion or aide from Moon River can assist with vacuuming, laundry and other tasks that can be overwhelming when recovering from surgery or an illness. Calendar management: Follow-up appointments are easy to miss if they don’t make it to the calendar. We can help schedule appointments and provide the transportation to get to them. If you are interested in the Hospital to Home program, call Cathy Ahrendsen, owner and Home Health Administrator at (703) 766-5758 for more information. “Thanks for all your pre-surgery help this last year. That was a very challenging rough patch for us and Moon River saved the day.” -Tricia G.
“Thank you for your great planning and flexibility.” -Susan P.